Do you feel that you’re lacking behind and you want to accomplish more with the little time you have? What if you can organize better and work smarter so that you can enjoy more free time? ...then this will be the most important letter you will ever read. So you want to know what’s the fastest and most convenient way to improve your productivity and have more free time? In two word: “OFFICE 365”. It’s the best office management software you can have available. 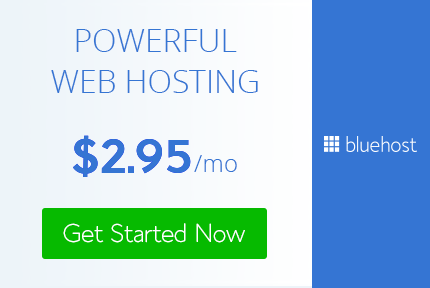 It’s the GOLD standard for organizing and managing your information in the business world. It’s super easy to use and it’s very flexible. 85 Million Monthly Active Users. Office 365 is the latest version of Microsoft Office. This latest version is cloud based, meaning it is available online and offline. Office 365 runs on Windows 7 or higher and OS X 10.5.8 and higher. Just like the previous version of Microsoft Office, the Home Premium version of Office 365 comes with Word, Excel, PowerPoint, Outlook, Publisher, OneNote, and Access. Office 365 home premium subscribers get free 60 minutes of skype to landline calls every month. By the end of 2017, Office 365 had over 85 million monthly active users. In 2017 Microsoft posted a 35% increase in Office 365 adoption. With Office 365, MIcrosoft has taken the lead in cloud based solution adoption. 40% of Europe’s organisations with over 1,000 employees chose Office 365. Office 365 uses OneDrive for over the distance collaborations. Office 365 is in the cloud and that brings a whole new level of convenience. The Office 365 license is good for five devices. Office 365 comes with 27 GB of Skydrive cloud storage. Collaborations is made easier with Office 365. Work away from the office with Office 365 on your mobile. Do you need a reliable word processing software that will help you create text documents, print them on paper or even save them as PDF files? No word processor is as convenient as MS Word. From formatting to split view to tracking changes and project sharing, MS Word just makes things easier. You can work on a document and have other people review and contribute to the content. Even better, you can track all changes made to a Word document and even revert to an earlier version. MS Word is the best word processing software on the planet and if you don't know how to use it yet, then you're missing out big time. Microsoft first released Word on October 25 1983. When it was released it was known as Multi-Tool Word for Xenix systems. From its time of release up to 1994, Word was boasting of an impressive 90% share market. Word has different licenses for different stakeholders. Commercial versions of Word are licensed as a standalone product or as a component of Microsoft Office. Word was made available on Mac and PC, besides these two, the only other desktop platform to be graced with its own version of Word was the Atari ST.
Auto Correct was introduced to the sixth version of Word in 1993. Before then, users had to correct their own typing, spelling and grammar mistakes. In 2013, Microsoft introduced the first touch friendly version of Word. Word is available on mobile devices and online for easy accessibility. Word is included in the latest version of Microsoft Office, Office 365. Create different file formats using Word. Easy to use and integrate with other tools. Identify and resolve grammar and spelling issues with Word. Are you looking for an easy to use software that can store and retrieve all your financial data in just a few clicks? Excel is the most popular program for managing and reporting data. This is largely due to its availability. All computers with windows have MS Excel installed in them. It is also available on Mac OS, on different mobile devices. With the latest version of Office, Office 365, Excel has become available online. This means that users have access to the program from a range of devices, from almost any location. MS Excel is used by over 1.2 billion people on the planet and if you don't know how to use it yet, then you're missing out big time. Excel is a well known spreadsheet creating and editing software. Excel was released by Microsoft in 1985. The initial contract was exclusive to Apple, it was not until two years later that the PC version was released. In 1991, Microsoft released Excel 3.0 which was the first software to use the modern toolbar. Since the 2003 version, over 1.2 billion users use Excel on a daily basis. Using the functions and formulas on Excel, users can automatically calculate and update the results on their spreadsheets. With basic programing skills, it is possible to use Excel and Visual Basic to create applications that manage tasks, analyze data and add interactive properties on a spreadsheet. The 2007 Excel version introduced the ability to save documents in different formats including XLSX files. Excel can be used together with some of the Microsoft office tools. Excel helps you get your work done efficiently. Put together amazing charts and diagrams with Excel. Use Excel to stay on top of the trends. Availability and convenience of Excel. Bring and work on data on one platform. Do you have a business proposal to present to your clients? If your answer is a big yes... then this could be the most important letter you will ever read. Do you know what all the top speakers have in common when they deliver a message to their audience? They use Powerpoint to present their ideas to the public. Because it’s super easy to use and it’s very flexible. PowerPoint was created by Robert Gaskins and Dennis Austin in 1987, then it was an independent company owned by Forethought, Inc. The software was initially developed to work on Macintosh computers only. Microsoft decided to acquire PowerPoint the very same year it was developed, they paid $14million. In 1993 PowerPoint became part of Microsoft Office. PowerPoint's market share is estimated to be around 95% together with that of Microsoft office. Currently, over 500 million people use PowerPoint, with about 30 million presentations being created everyday. Over 6 million teachers around the world use PowerPoint for classroom lectures. While more than 120 Million people use PowerPoint to create business presentations. PowerPoint is now available as an app across all mobile devices. 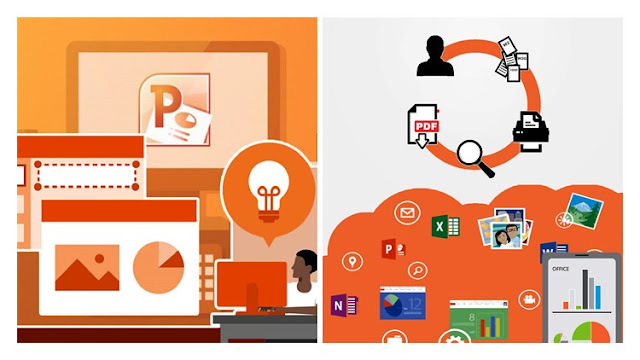 PowerPoint online is a cloud based version of PowerPoint that allows users to create, edit and share PowerPoint presentations. Users can work with others on shared projects, in real-time. You get to see everything. I explain everything to you. There will be no guesswork. 30-Day Money Back Guarantee - Risk-Free! Udemy has an unconditional 30 day money back guarantee so there is no risk. You have a 30-day money-back guarantee. Lets start success together! Click on the “take this course" link at the top right of this page right NOW! Don't let another minute go by not living your dreams. professionals of Entrepreneurs, Market Experts and Online Tutors. New users for Office 365, Word, Excel and PowerPoint. Anyone interested and want to refresh his memory for Office 365, Word, Excel and PowerPoint.